translated with permission by Gordon Henry. "I never stop thanking God for all the graces you have received through Jesus Christ. I thank him that you have been enriched in so many ways, especially in your teachers and preachers; the witness to Christ has indeed been strong among you." This message, which the Apostle Paul, about the year 56, addressed to the Christians of Corinth and which we proclaim as the second reading for this Sunday, we can indeed address to Louis and Zélie Martin, whose relics we welcome today. Louis was born in Bordeaux on the 22nd of August, 1823. The youngest of a family of three girls and two boys, he was raised in the various garrisons to which his father, a career soldier, was posted. From him Louis inherited a certain taste for travel. After his studies, Louis learned the craft of the watchmaker. At the age of about 22, attracted by the religious life, he applied to join the monastery of the Great St. Bernard in Switzerland, but he was refused because he did not know Latin. For three years he lived in Paris, and then moved to Alençon, where he bought a house in which his parents lived with him. He established a jewelry and watchmaking shop on the premises. For eight years he led a hard-working, but calm and meditative, life. His recreations consisted of long fishing trips, a few hunting parties, and evenings with his friends at the Catholic Circle. His faith remained alive; he was a fervent Christian, who went to Mass not only on Sunday but also during the week. He practiced adoration of the Blessed Sacrament and went on pilgrimages. At the age of 34 he was still a bachelor, to the great despair of his mother. 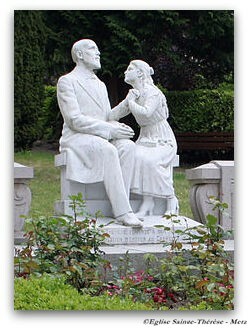 In 1858, the year of the apparitions at Lourdes, he made the acquaintance of Zélie Guérin, aged 26 years, and they were married on July 13, 1858 in the Church of Notre Dame d'Alençon. Zélie was originally from the region of the Orne. Her father, an old soldier of Napoleon, was the police chief of St. Denis-sur-Sarthon. Her mother was a simple peasant. Zélie had an elder sister, who later would enter the Visitandines at Le Mans, and a brother ten years her junior. Zélie and her sister received their education as day-students at the boarding school of the Sisters of the Sacred Heart in Alençon. Zélie received a sound but austere education, and she would retain a tendency toward scruples. Rather early, she felt a call to sanctity and thought of entering a house of the Daughters of Charity, but the superior dissuaded her. Disappointed, she became a lace-maker and showed a particular talent for the point lace of Alençon, delicate and minute work. In 1853, aged only 22, she opened a lace-making enterprise with her sister, who soon left her for the Visitation Monastery. She was 26 when she married Louis Martin. At the start of their marriage they made the decision to live as brother and sister, in perpetual continence, but their confessor dissuaded them from this plan, and, between 1859 and 1873, there was a succession of births. Zélie gave birth to nine children, seven girls and two boys. Alas, infant mortality remained very high in this period, and the Martins lost four children, including both boys, at a young age. Despite her sorrows, and despite having breast cancer, which progressed slowly after 1863, Zélie dedicated all her energies to her business. It prospered and employed as many as twenty workers. By virtue of hard work and diligent saving, the Martins acquired a sizeable fortune. In 1870, Louis was able to sell his watchmaking establishment to his nephew so that he would be free to help Zélie run her business and manage its assets. Fervent Christians, Zélie and Louis assisted every morning at 5:30 Mass. They fasted and prayed as a family and scrupulously observed Sunday rest. They also knew how to put their convictions into practice. They visited the sick and the poor who had no-one, and the dying. When the occasion offered, they welcomed a vagabond to their table and took steps to have him accepted at the hospice of Alençon. Zélie took an equal interest in her workers, who were often young and inexperienced. In 1876, sickness struck the Martin family. First, Zélie's sister, the Visitandine, contracted tuberculosis. Zélie, now gravely affected by her own illness, resolved, in December, to consult a new doctor, but the diagnosis left no hope. The fibrous tumor had advanced too far to allow an operation. Although Zélie received the news serenely, Louis was crushed. Zélie's brother Isidore, a pharmacist in Lisieux, arranged an appointment with a great surgeon, but he could only confirm the previous diagnosis. 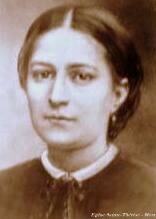 On the 24th of February 1877, Zélie's sister passed away. It was a terrible blow, all the more so because Zélie's own illness was now worsening. On June 27th, despite her suffering, Zélie made the trip to Lourdes, but the hoped-for miracle did not take place. On her return to Alençon, she put her affairs in order and prepared her household for her approaching demise. She received extreme unction on August 26th in the presence of Louis and their daughters, and died, after two hours of agony, on the 28th. She was interred in the cemetery of Alençon, leaving a grief-stricken family of five girls, one of whom, Thérèse, was only four and a half years old. 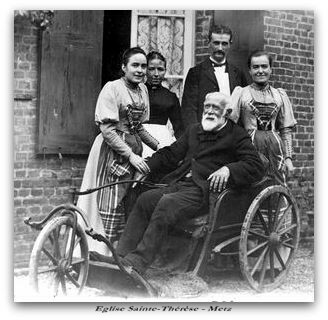 In November 1877, Louis and his five girls moved to Lisieux, in order to be closer to Isidore Guérin, whom a family court had designated deputy guardian of the children. Isidore and his wife had been persuaded that this was the best arrangement, and they succeeded in convincing Louis, who was reluctant at first, to make the transition. To welcome the Martins, they found a house in town that was surrounded by a garden: Les Buissonnets. Louis sold the family business in Alençon. From then on he lived on the investments, devoting himself to his daughters, and in particular to Thérèse, whom he called his "queen,” while she called him her "king". With the aid of a domestic servant, Marie took in hand the running of the household, while Pauline occupied herself with the education of the two little girls, especially Thérèse. Louis, cut off from his friends in Alençon, retired into solitude: he read, he wrote, and he meditated. in contrast with the animated life at Alençon, the life at Les Buissonnets was austere. The girls grew older, and the three youngest, Léonie, Céline and Thérèse, in turn undertook their studies at the boarding school of the Benedictines of Lisieux. In 1882, Pauline entered the Carmel of Lisieux, to the great dismay of Thérèse, who felt herself abandoned. In fact, Thérèse had been the most deeply affected by Zélie’s death, and she became a hypersensitive child, always ready to dissolve in tears. In February 1886, Louis decided to remove her from school and supply her with private lessons. In August 1886, to the surprise of the entire family, the eldest of the girls, the independent-minded Marie, also decided to enter Carmel. Louis thus lost his favorite daughter, his "diamond,” but he was obliged to hide his pain. It came equally as a shock to Thérèse, whose confidante Marie had become. 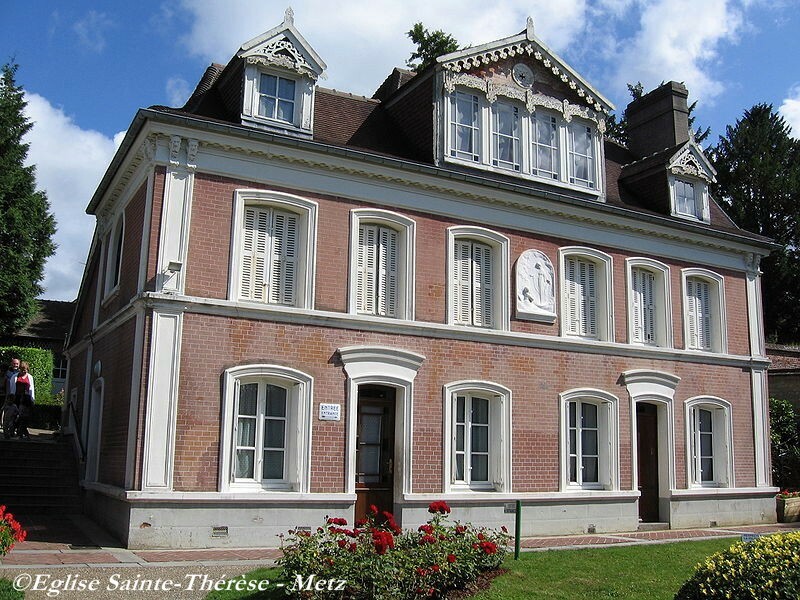 Then, in October, Léonie was admitted to the convent of the Poor Clares in Alençon, and the warm atmosphere of Les Buissonnets seemed about to disappear. There remained with Louis only Thérèse and Céline. The latter, at seventeen and a half, was promoted to mistress of the household. By the start of December 1886, Léonie was back, the hard life of the Poor Clares having proven too much for her health. In the spring of 1887, she entered the convent of the Visitation in Caen. On May 1st, Louis suffered his first mild attack, which left him paralyzed on his left side for several hours. For Thérèse, 1887 was a year of profound transformation. The grace that she received on Christmas Eve 1886 gave her the strength to leave her childhood behind. She grew in her determination to become a Carmelite, not in order to see her sisters Pauline and Marie again, but because she felt called by Jesus. On June 8, 1887, the feast of Pentecost, after having spent the whole day in prayer, she presented her request to become a nun to her father in the garden of Les Buissonnets. Louis objected on the grounds that his fourteen-year-old daughter was too young, but he quickly let himself be won over. He said that "God had done him a great honor to ask for his children in this way." 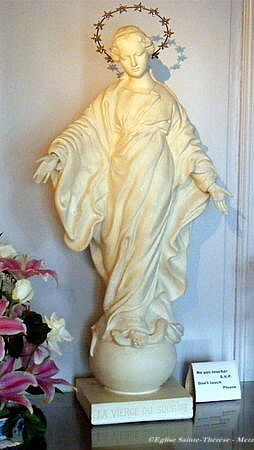 The difficulties Thérèse had to overcome in order to enter the Carmel of Lisieux, and the voyage she made to Rome to obtain the permission of Pope Leo XIII, are well known. But then things moved rather quickly, and she was able to enter on April 9, 1888. Louis now had three daughters at the Carmel: Pauline, Marie and Thérèse. The next day he wrote to his friends, "My little queen entered Carmel yesterday. God alone can require such a sacrifice, but he helps me so powerfully that in the midst of my tears, my heart is overflowing with joy." Louis, a man of only sixty-five, would not know much of old-age. Céline wrote to her younger sister, "Papa seems so old now, so tired...My heart is torn. I think he will die soon." He began to suffer from cerebral arteriosclerosis, which caused dizziness and memory loss. On June 23, 1888, he disappeared from home and was found only miles away in Le Havre. He was lucid, but preoccupied with the idea of retiring into the life of a hermit. It was traumatic for the whole family, but especially for Thérèse, who blamed herself for entering Carmel at the very moment when her father needed her most. She was hurt by the questions and the insensitive talk of some of the sisters. Even the most malevolent gossip found its way into the cloister of the Carmel . If Louis had gone mad, was it not because of the departure of his daughters, and especially the youngest, whom he loved so much? From then on, Louis's periods of lucidity alternated with periods of relapse. He was in good form on January 10, 1889, the day Thérèse took the habit. He was able to walk down the nave of the chapel on the arm of his daughter, who wrote, "Never had he been more handsome, more dignified. He was the admiration of everyone." Yet tragedy befell him on February 12, when his doctor decided to intern him in the asylum of the Bon Saveur [the Good Savior] in Caen. He remained there for three years, astonishing the personnel with the gentleness and docility that he showed during his long periods of lucidity. He accepted his situation with courage and resignation: "I know why God has given me this trial. All my life I have never felt humiliation. It was what I needed." Thérèse shared sadly in the plight of her father. She had always seen in him the image of God, the benevolent father. She now saw in him Christ, humiliated and despised by all. She meditated long on this suffering, an important step on her spiritual journey. In June 1889, Isidore Guérin, fearing that Louis would bankrupt himself by giving away all his money due to mental illness, obtained from him the renunciation of the management of his estate. Isidore terminated the lease on Les Buissonnets. The Carmel, however, got some of the furniture. On September 8, 1890, in the chapter room, Thérèse pronounced her religious vows, which, according to the law of the time, were perpetual, effective immediately. Only the Carmelites were present. The public ceremony, at which she received the black veil of the professed Carmelite choir nun, took place in the chapel on September 24. This day of joy and fulfillment for the young girl was also a day "completely veiled in tears,” so much did she cry for her absent father. On the 10th of May 1892, Isidore brought Louis home from Caen. Two days later, Louis was brought to the parlor of the Carmel to see his daughters once more. It was his first visit in three years, and it would be his last. He was lucid, but very thin, and he did not speak. Isidore moved him into the Guérins' house, where Léonie and Céline, assisted by the servants, looked after him until they rented a small house across the street for Louis and his daughters. His health continued to deteriorate, and, after a series of violent attacks, he died on the 29th of July, 1894, in the presence of his daughter Céline. He was buried in Lisieux on August 2nd. On September 14th, Céline joined her sisters in the Carmel. A life at once ordinary and extraordinary - such was the life of the Martins. Their five daughters embraced the religious life. One became a saint known throughout the world. They answered the call to sanctity through a simple life marked by joys and trials, sustained by the constant prayer that they shared as a family and as a couple, all while taking part in the social and professional life of Alençon. They showed concern for the poorest, Louis through the Conference of Saint Vincent de Paul and the Vital Romet Association, Zélie through the attention that gave to each of her lacemakers. The Martin house in Alençon was a veritable domestic church. 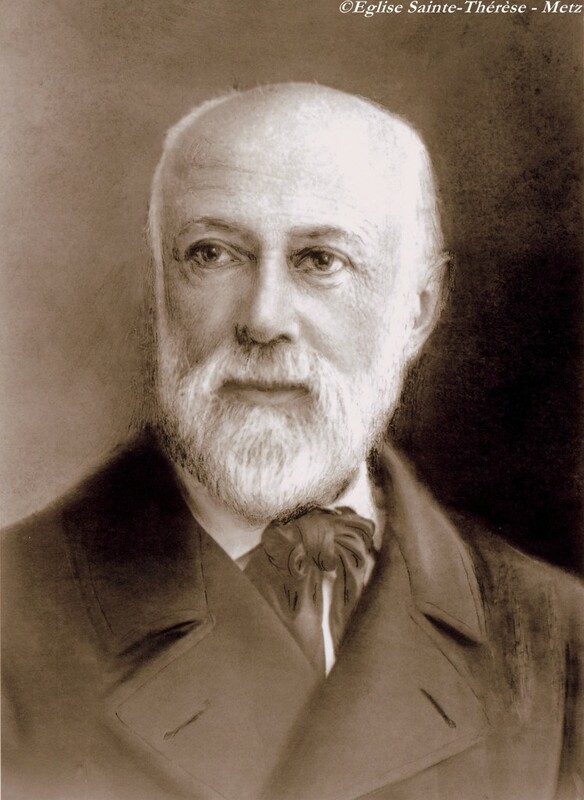 "The unity was remarkable in this family, whether between the spouses or the parents and children", declared the abbé Dumaine, vicar of Notre Dame d'Alencon. Thérèse confided, "The good Lord gave me a father and a mother more worthy of heaven than of earth." No wonder that from 1925, the year of Thérèse's canonization, interest was shown in the beatification of her parents. 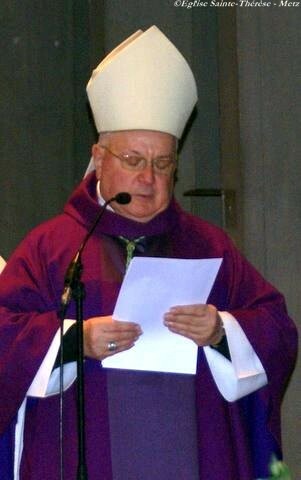 It would be 1941, however, before the Bishop of Bayeux would express to the Papal Nuncio to France, Angelo Cardinal Roncalli, later Pope John XXIII, his wish to see the cause of the Martins introduced formally.